On May 11, National Institutes of Health (NIH) Director Francis Collins announced the appointment of Patricia Flatly Brennan as the new director of the National Library of Medicine (NLM). 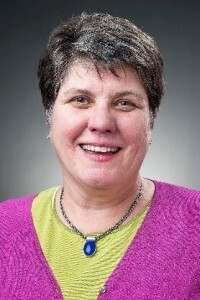 The Lillian L. Moehlman Bascom Professor at the School of Nursing and College of Engineering, Brennan comes to the NIH from the University of Wisconsin-Madison where she leads the Living Environments Laboratory at the Wisconsin Institutes for Discovery. A pioneer in the development of information systems for patients, she developed ComputerLink, “an electronic network designed to reduce isolation and improve self-care among home care patients.” Brennan is expected to join the NIH in August. More about Brennan’s appointment is available on the NIH website. The National Institute of Justice (NIJ) is looking to hire a Chief Research Advisor tasked with leading the development and implementation of a new initiative that will “build in-house research capacity in law enforcement agencies.” According to the listing, “NIJ is looking for a social science researcher with a commitment to partnering with law enforcement to produce applicable, impactful research and analysis that addresses the field’s highest priority needs and advances policy and practice. The selected applicant will manage NIJ’s newest effort to partner with interested law enforcement agencies to identify their in-house capacity for research and analysis, review data collection and availability, and work with research-minded officers to design quasi-experimental projects.” The position is a two-year detail through the Intergovernmental Personnel Act (IPA). Applications are accepted through June 3. The National Institutes of Health (NIH) Office of AIDS Research (OAR) in the Division of Program Coordination, Planning and Strategic Initiatives (DPCPSI) recently issued a request-for-information (RFI) (NOT-OD-16-089) seeking input on the fiscal year (FY) 2018 Trans-NIH Plan for HIV-Related Research. The 2018 Plan is “designed to identify and articulate possible future directions to maximize benefits of investments in HIV/AIDS research.” In August 2015, NIH issued “new overarching priorities” for the next three to five years for HIV/AIDS research in a Notice, NIH HIV/AIDS Research Priorities and Guidelines for Determining AIDS Funding (NOT-OD-15-137). The Notice also outlined guidelines the agency will use to determine AIDS funding (see Update, September 4, 2015). The RFI notes that the overarching high priority areas identified in the August 15 notice “will remain unchanged.” Accordingly, OAR is seeking input on “those scientific and research opportunities that refine NIH HIV/AIDS research agenda and optimize the investment of HIV/AIDS research resources to search for critical strategies to prevent, treat, and cure AIDS.” Comments are due by June 10, 2016. The National Institute on Minority Health and Health Disparities (NIMHD) of the National Institutes of Health (NIH) is seeking applicants to its Summer Institute on Health Disparities Science. The Institute which will be held on the NIH campus from August 15-19, 2016, is designed to “support the development of individual research projects by promising scientists early in their careers and … stimulate research in the disciplines supported by science on minority health and health disparities.” The course includes lectures, seminars, and small group discussions on research relevant to minority health and health disparities along with sessions by NIH scientific staff engaged in related health disparities research across the various NIH Institutes and Centers. Early career researchers from diverse backgrounds, as well as individuals interested in research on minority health and health disparities within academic, community-based, nonprofit, and other non-academic settings are encouraged to apply. Applications are due June 1, 2016. On May 3, 2016, Mary C. Waters, M.E. Zukerman Professor and former chair of Sociology at Harvard University, delivered the Spring 2016 Henry and Bryna David Lecture at the National Academies of Sciences, Engineering, and Medicine. The David Lecture highlights innovative social and behavioral science research by inviting leading scholars to contribute an article to Issues in Science and Technology and present at the National Academies. Waters’ talk, titled “The War on Crime and The War on Immigrants: New Forms of Legal Exclusion and Discrimination in the U.S.” drew from two major recent Academies reports, The Growth of Incarceration in the United States (2015) and The Integration of Immigrants into American Society (for which Waters chaired the study committee). Waters used the findings from the reports to draw parallels between undocumented immigrants and ex-felons, both populations whose legal status separates them from the general population and exposes them to certain types of legal discrimination (such as in housing, employment, or education). Waters described some of the lasting negative consequences this type of exclusion can have on the health and achievement of both the affected individuals and on their families. A recording of her lecture is available on the Academies’ website. The Social Science Research Council, a COSSA member, is inviting nominations for its highest honor – the Albert O. Hirschman Prize. The Hirschman Prize recognizes excellence in social science research, theory, and public communication. Nominations are requested by June 15 and should be submitted to hirschmanprize@ssrc.org along with information on the nominator, a brief statement of commendation, and the nominee’s curriculum vitae or links to the nominee’s website.